The Scottish Medicines Consortium (SMC) has announced it has accepted five new medicines for routine use in NHS Scotland. 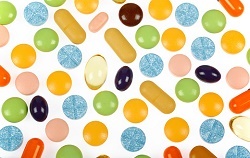 Two of these medicines, lenalidomide (Revlimid) for multiple myeloma – a rare cancer of the white blood cells – and ceritinib (Zykadia) for lung cancer, were accepted after consideration under SMC’s PACE (Patient and Clinician Engagement) process, which aims to improve patient access to new medicines for the treatment of end of life and very rare conditions. Lenalidomide was accepted for the treatment of patients newly diagnosed with multiple myeloma who are not eligible for stem cell transplant and not suitable for treatment with a medicine in regular use, thalidomide. During the PACE meeting, patient groups and clinicians spoke about the potential for lenalidomide to improve length of life and increase patients’ ability to do normal daily activities with their families, as well as reducing the burden on carers. There are very few effective treatment options for people who are unsuitable for thalidomide. Ceritinib is used to treat advanced non-small cell lung cancer (NSCLC) in patients who have not responded to another cancer medicine called crizotinib. It is only used if the NSCLC is ‘ALK-positive’ - where the cancer cells have defects in the gene responsible for a protein called ALK (anaplastic lymphoma kinase). This type of cancer usually presents at a late stage when it has already spread to the brain. At present there are limited treatment options for this patient group, and ceritinib may help improve overall survival. Through PACE, it was highlighted that this medicine can give patients extra time, which is very important in the context of limited remaining months. Ivermectin (Soolantra), which is used to treat skin lesions (red bumps and pustules on the skin) which can occur in rosacea. SMC accepted ivermectin for the treatment of patients who have moderate to severe inflammatory lesions. The SMC was unable to accept co-careldopa (Duodopa) for advanced Parkinson’s disease, which was also considered under the PACE process, and co-careldopa intestinal gel for the treatment of patients with advanced Parkinson’s disease where other medical options have been unsuccessful. Dr Alan MacDonald, vice chairman of SMC, said: “SMC is pleased to be able to accept five new medicines for routine use in NHS Scotland and we hope that patients and their families will benefit from these decisions. For more information visit www.scottishmedicines.org.uk.